And now, the Los Angeles-based startup is set to debut new features that could very well make its platform much more popular — for new user growth and current user stickiness. 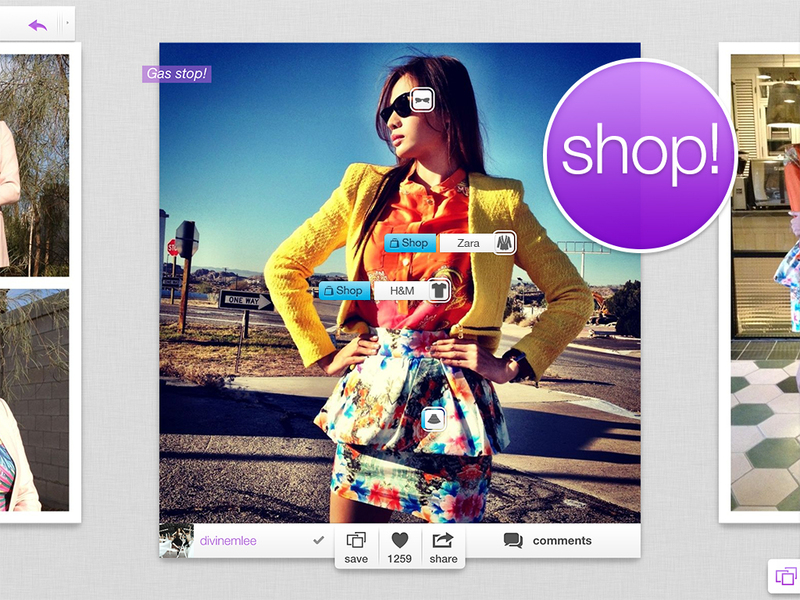 Today Pose will launch its first ever native app made especially for the iPad. And along with the iPad app, Pose is launching its first ever revenue generating component, which will be active across all its platforms: “Shoppable content,” linking items tagged in Pose photos directly to e-commerce sites that sell them, letting users complete a purchase without ever leaving the Pose app. Pose will collect affiliate fees through each sale that has originated on its platform. Those may seem like pretty standard moves for Pose — but the real twist is how exactly the company is going to deploy that cash it will start making. Pose will take a “small piece” of each affiliate fee it collects when an item is sold, but will give the vast majority of the money to the user who originally shared the item in a photo. This money will be deposited through PayPal; Pose will also show each user detailed analytics on the purchasing activity around the items they’ve tagged and shared on Pose. It’s a very unique move. Most sites that are built on user-generated content — aka, pretty much all of social media — do not share the money they make around that content with the users who actually created it. At first it might seem crazy for a startup to give away the bulk of the cash it brings in on its very first revenue generating feature, but it shows that Pose is really thinking about the long-term. It's hard to think of something that would make users happier than receiving a check each month for doing what they do anyway — snap photos of their most stylish outfits. It'll be really interesting to see how this impacts Pose's growth trajectory going forward; it seems like something that could give the app a major boost in user growth and engagement. Pose has raised some $4.6 million in venture capital from investors that include GRP Partners, True Ventures, Mousse Partners, and celebrity fashion designer and stylist Rachel Zoe. The company says that those investors are happy with its revenue-sharing strategy right now because they see the potential for Pose to make even more serious money down the line. "We certainly believe in this grand vision of our company, where content meets commerce. We think of ourselves like a shopping funnel, and within that there are so many opportunities to make money at different points along the line," Pose’s co-founder and VP of creative and partnerships Alisa Gould-Simon told me. "Great content starts with our users, and we just want to be a platform to facilitate that. First and foremost, it's about building an audience."